5.15.2014 >> The pair had recently released Art of the House: Reflections on Design. My post highlighted Susan's interior design work for Atlanta based Mary Prillaman, owner of MacRae and Holland & Company. Mary was already familiar with McAlpine, having partnered with the firm in featuring a custom designed line of decor offered through MacRae. Atlanta Homes & Lifestyles featured Mary's home in and on the cover of their March 2013 issue. 8.22.2015 >> I noted a trend from Hinkley Lighting..... Cleverly shooting their campaign ads in designers homes - this ad (pictured above) was shot in Mary's Prillaman's dining room, designed by Susan Ferrier. 9.26.2017 >> McAlpine releases Poetry of Place: The New Architecture and Interiors of McAlpine..... From publisher Rizzoli - "Continuing the story from his best selling first book, Bobby McAlpine picks up where he left off delving into the heart’s longing for home and breaking the rules of traditional architecture, harvesting what is true to tell your own story." 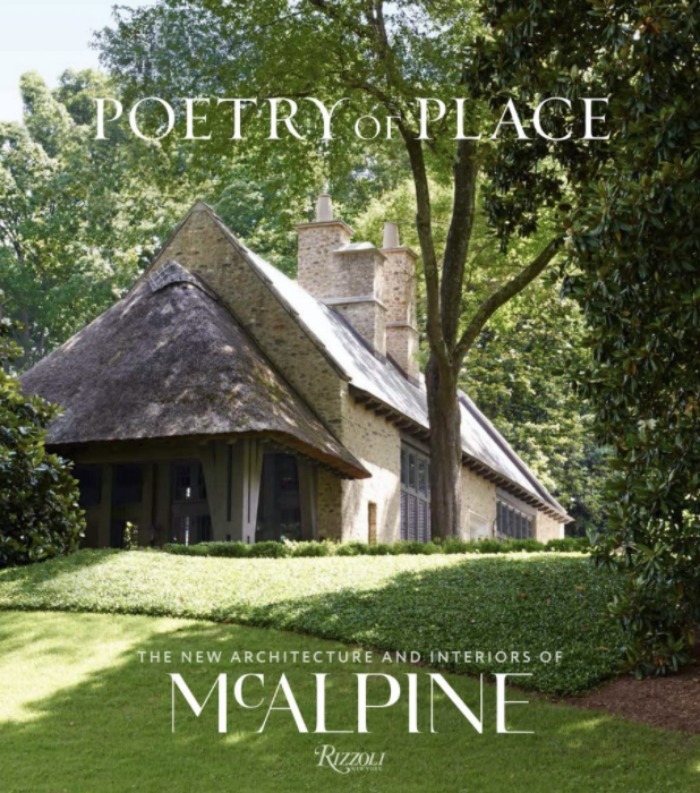 11.9.2017 >> Atlanta home furnishings store Dixon Rye, will host Bobby McAlpine and Susan Ferrier for a book signing of Poetry of Place: The New Architecture and Interiors of McAlpine, 6-8pm. More info on the book tour here.